They’re entering their fifth year now, brewing the only Sheffield Pilsner, boasting a wide range of traditional cask ales and owning four pubs. Still, Thomas Gill and Dr Adam Hague are not yet resting on their laurels – they’ve got a few more ideas on tap. As unusual as it may sound, the founding fathers of Stancill Brewery built their business on the foundations of another one’s downfall. 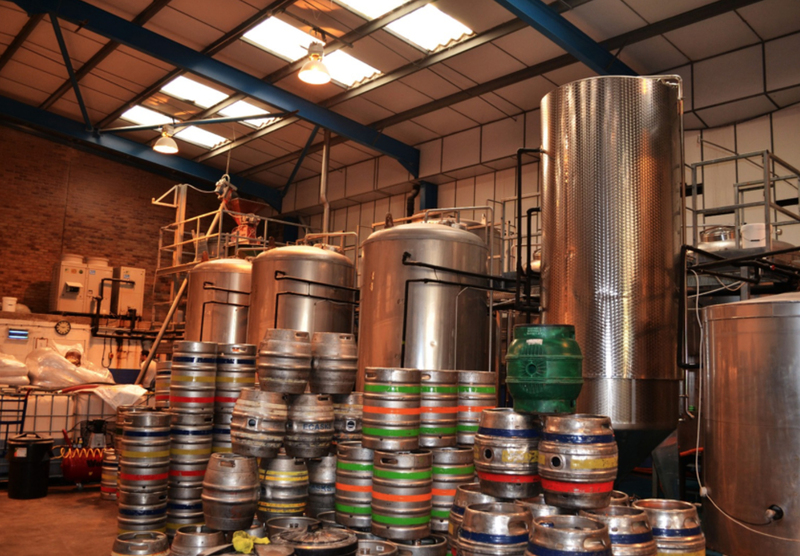 “We were devastated to hear that the Oakwell Brewery in Barnsley was going under, so we decided to resurrect it,” begins Tom Gill, co-owner and managing director, while pointing at the brewing tanks that now belong to him. “We bought the kit, got everything out before the site was demolished, and that’s how Stancill was born,” he adds. Production began in January 2014, with the nod to the no longer Oakwell Brewery and their legendary Barnsley Bitter. “Our appreciation for this beer came before we even purchased the brewing kit, we wanted to recreate it,” explains Tom. And where else would you do it, if not in the England’s brewing capital, Sheffield? The Bitter became a leader of Stancill’s core range of real cask ales, which now has between 10 and 12 beers to offer, and is introducing limited Brewer’s Specials as of this year on top of that – something we’d happily get on board, judging from the customers’ interest in our guest beers. “We give our brewers the flexibility to produce something unique as a one-off thing, which for us means novelty and excitement, targeting younger beer drinkers in particular,” explains Tom. The specials will also be canned, to get that modern craft beer feel. 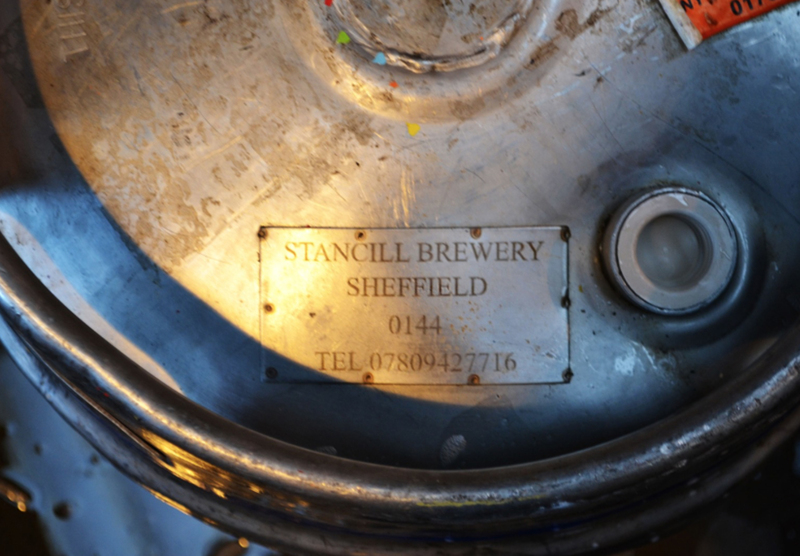 The most unique Stancill beer, however, is definitely the Sheffield Pilsner – no other local brewery has mastered a high quality lager product like theirs. 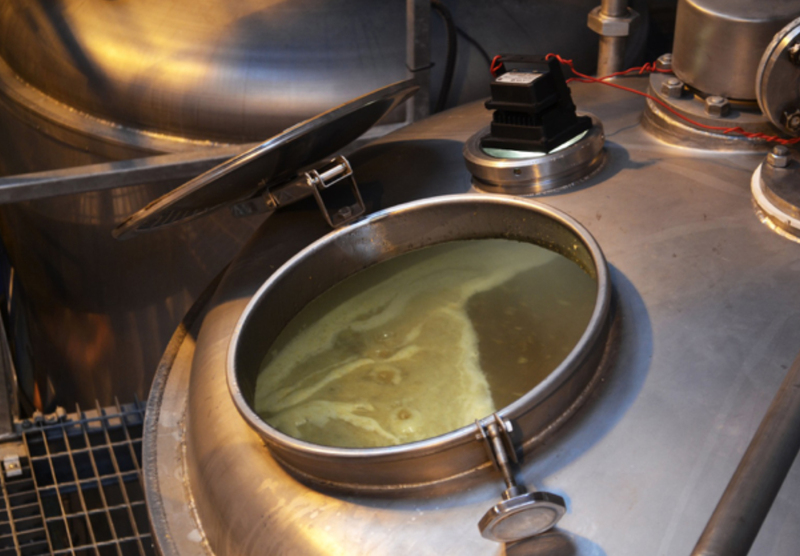 “We started brewing the Pilsner 6 months in, and it now makes for 13-14% of what we brew,” says Tom, who recently had to purchase an additional tank for lager products to meet the demand. “We don’t market our Pilsner, as we wouldn’t want to reach production limits and let people down. It sells itself,” he laughs and we can only confirm that the lasting popularity of Sheffield Pilsner on our tap is not easy to outshine. Visiting Stancill on a brewing day with the work in full swing, showcases exactly how well they’re doing. “We do roughly four 90×9 gallon brews a week, two for lager products and two for real ales,” explains Tom. With about 1500 independent outlets like ourselves on their list, and wider radius of distribution that goes down to Nottingham and Derbyshire, and up to York, they are a busy bunch. “Distribution can be a bit tricky, especially when it snows,” laughs Tom. Regular pubgoers will also recognise Stancill’s own venues: Horse and Jockey, Norfolk Arms, Albion on London Road, as well as Closed Shop. “Taking over pubs that would previously sell big brand beers wasn’t easy, it requires time to introduce the alternative to people,” admits Tom. All of the above mentioned pubs now serve Stancill’s full range, both cask and keg. “That way we can appeal to older customers, but also the younger market, which tends to prefer more lively, colder beers,” he adds. As Tom summarises Stancill’s future pub investment plans, ‘they come and go’ but there is definitely an appetite for more. They might also be working on collaboration with Tamper to create a coffee stout, but that’s all further down the line. Whatever they decide to do, the perfect blend of upholding tradition and embracing the refreshing taste of the new will surely be present in their brews. 1. Peel the celeriac and onion, chop all vegetables into chunks. 2. Heat a little rapeseed oil in a suitable pan and add the veg to it, chook until they start to colour. 3. Add the ale and cook for a minute or so. 4. Add the stock and thyme sprigs, and cook until the veg is soft. 5. Blend using a stick blender until smooth. 7. Heat up with a splash of cream before serving and add a Sheffield Cheese crouton on top.